The introduction of a mathematical and computational framework within which to analyze the interplay between language learning and language evolution. The nature of the interplay between language learning and the evolution of a language over generational time is subtle. We can observe the learning of language by children and marvel at the phenomenon of language acquisition; the evolution of a language, however, is not so directly experienced. Language learning by children is robust and reliable, but it cannot be perfect or languages would never change-and English, for example, would not have evolved from the language of the Anglo-Saxon Chronicles. 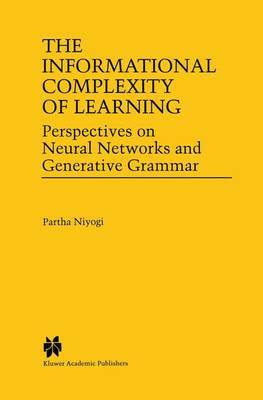 In this book Partha Niyogi introduces a framework for analyzing the precise nature of the relationship between learning by the individual and evolution of the population. Learning is the mechanism by which language is transferred from old speakers to new. Niyogi shows that the evolution of language over time will depend upon the learning procedure-that different learning algorithms may have different evolutionary consequences. He finds that the dynamics of language evolution are typically nonlinear, with bifurcations that can be seen as the natural explanatory construct for the dramatic patterns of change observed in historical linguistics. Niyogi investigates the roles of natural selection, communicative efficiency, and learning in the origin and evolution of language-in particular, whether natural selection is necessary for the emergence of shared languages. Over the years, historical linguists have postulated several accounts of documented language change. Additionally, biologists have postulated accounts of the evolution of communication systems in the animal world. This book creates a mathematical and computational framework within which to embed those accounts, offering a research tool to aid analysis in an area in which data is often sparse and speculation often plentiful. Buy The Computational Nature of Language Learning and Evolution by Partha Niyogi from Australia's Online Independent Bookstore, Boomerang Books. Partha Niyogi was a Professor of Computer Science and Statistics at the University of Chicago.